Public spaces play a vital role in both the social and economic lives of our communities. From high streets and shopping precincts to community centres, parks and playgrounds, they act as a shared resource where all generations have the opportunity to meet, play and socialise. Designers know the importance and how the use of colour improves public space life. However, the success of these spaces is not only due to the urban designers, town planners and architects; it also relies on the community adopting the space as their own. Furthermore, while the architecture, the materials used and the overall design of the space all have a part to play, intelligent use of colour also has the potential to improve our public spaces. Certainly, in the Joseph Rowntree Report – The Social Value of Public Spaces – it was noted that ‘People are drawn to, and tend to stay longer in, public spaces that offer interest and stimulation’. When skillfully used, colour has the ability to engage people and create a centre of attention. However, using colour in public spaces, particularly interior spaces, needs careful consideration, especially as our surroundings can influence our emotions and state of mind. If you’ve ever noticed that you feel irritated in a specific place, or that certain places help you to feel calm and relaxed, then there’s a good chance that it’s the colours in the space that are contributing to that feeling. Colour is often used in art therapy as a way to tap into people’s emotions, as it’s known that different colours, and in particular whether they are classed as warm or cool colours, may have an influence on a person’s mental or physical state. Warm colours, such as red, orange and yellow can engender a variety of emotional responses from comfort and warmth to anger or aggression. In contrast, colours such as green, blue and purple, which are classed as cool colours, are associated with calm, relaxed and sad emotions. 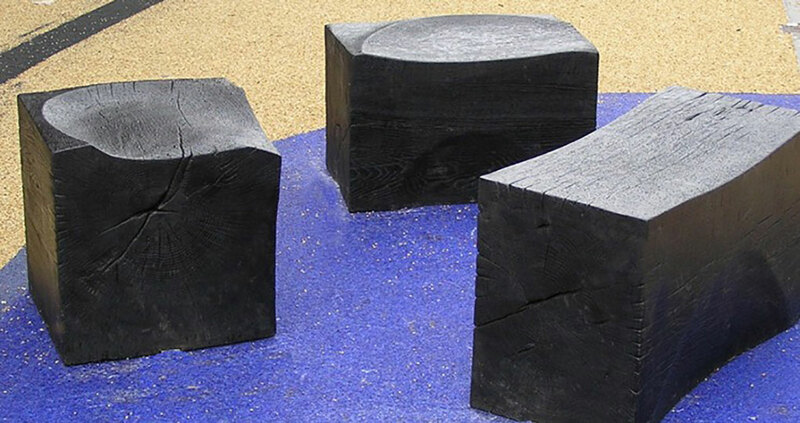 Designers who are looking to create a peaceful and calming public space, often use shades of blue and green, as these cool colours are considered to be soothing. Blue is often utilised in areas of high traffic or where people spend a significant amount of time, particularly as it’s said to have the ability to slow down our breathing and lower blood pressure. Blue street lighting has also proved to be successful in reducing crime, with Glasgow installing blue lights in certain neighbourhoods in the city in 2000. In contrast, if designers want to create public spaces that stimulate and excite, warm colours such as red, yellow and orange are used, particularly in places that provide food: it’s no coincidence that these colours are seen in fast food restaurants. However, using such bright colours can also cause irritation, due to the fact that they reflect more light resulting in excessive stimulation of the eyes. It’s said that some colours, such as purple, help us to unleash our creative potential. This is because purple is made up of both red and blue, providing the perfect balance between stimulation and peacefulness that leads to creativity. As you can see, through skilful use of colours, life in public spaces can be improved and enhanced. So the next time you eat in a fast food restaurant or sit gazing at the green walls of a waiting room, you’ll understand a little of the thought behind the choice of colour in that particular space.